Adnen Abdrabbou’s land in the El Krib region of northern Tunisia is semi-arid. The area sees some rain during the year, which makes it better than other parts of Tunisia. But finding enough water for irrigation has always posed a challenge. The area’s predominant farming systems are cereals and livestock. In 1999, Abdrabbou parted ways with traditional farming systems. Conventional – and intensive – tillage caused soil erosion; and ammonium nitrate and phosphorus fertilizers were too expensive. He began practicing conservation agriculture instead – the essential elements of which are minimum tillage, permanent soil cover, and diverse crop rotation. 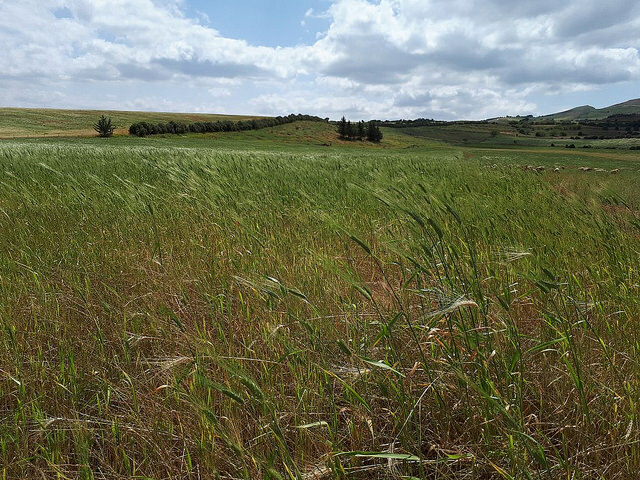 He opened up his farm for onsite conservation agriculture trials to ICARDA and three national agricultural institutes – l’Institut National de Recherche Agronomique de Tunis, l’Institut National Des Grandes Cultures, and l’Ecole Supérieure d'Agriculture du Kef. For Abdrabbou, the institutes’ involvement provided confidence, and he became the first Tunisian farmer to pioneer the unknown technique. One of the trials has lasted nearly two decades, making it the most well-known on-farm trial of conservation agriculture in the country. In 2006, just seven years into partially adopting the techniques of conservation agriculture, he noticed promising results. There were improvements in fertility and water retention in the soil. The yields were higher, too. That year, Abdrabbou bought his first no-till seeder. And he became involved in establishing the Sustainable Agriculture Association - known by its French acronym “APAD” - to disseminate the technology. Today, all 140 hectares of his land are under conservation agriculture. Read the full article by Udo Rudiger and Hatem Cheikh Mhamed via ICARDA. How to be a rural woman and live to tell the tale!